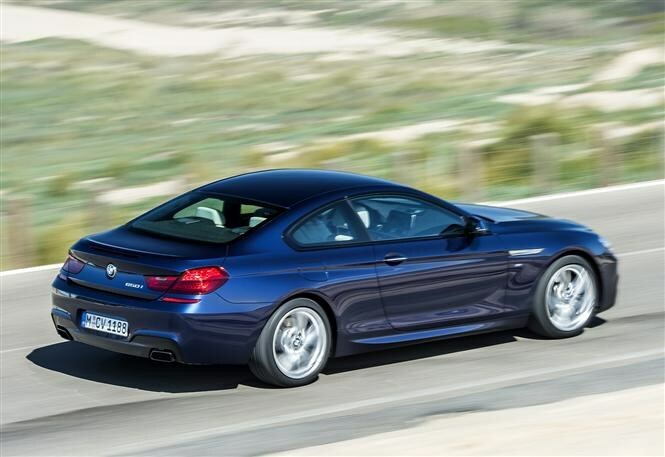 We wouldn’t blame you for asking why we’re using pictures of the old model, but in fact you’re looking at the 2015 BMW 6 Series Coupe. It’s had a facelift. Can you tell? Look closely at the front grille. It’s now got nine bars rather than 10. The matt aluminium used means this is a petrol car – a 650i to be precise – while diesel models get a black one instead. The astute among you will also note the headlights, which are now full LED and feature indicators carved into the top of the lighting unit. The rear of the car gets an upgrade just as subtle: there’s a chrome bumper insert to make the car look wider and more purposeful. Oh, and the wing mirrors on either side have been tweaked so they’re more aerodynamic. A set of new 18-inch alloy wheel designs (though up to 20-inchers are available) and five new colours complete the exterior makeover. Inside, the dashboard gets contrasting stitching and a high-gloss black finish for the centre console and around the stereo and heater controls. Also standard now is BMW’s ConnectedDrive, which uses a SIM card embedded in the car to connect to the outside world. It can provide – for example – real-time traffic and navigation information. It’s connected directly to a modern heads-up display which will project navigation and safety information clearly yet unobtrusively onto the windscreen so you don’t have to take your eyes off the road. Once you’ve used this system, you’ll wonder how you ever went without it. Our car also featured a new optional extra known as Driving Assistant Plus, which uses a combination of camera and radar technology to provide adaptive cruise control, lane-departure warning and low-speed automatic braking. It will also warn, and ultimately brake, if the car senses a collision is imminent. There’s a new multifunction display in front of the driver too, which changes colour depending on which driving mode you’ve selected on the Driving Experience Control switch; a toggle which changes the car’s nature from ECO Pro (best for fuel-saving), Comfort+, Comfort, Sport and Sport+. Great, but what’s it like to drive? Firstly, we’re not expecting the 650i to be a huge seller in the UK, and in some ways that’s a shame because the 4.4-litre twin-turbocharged petrol V8 is a great thing. 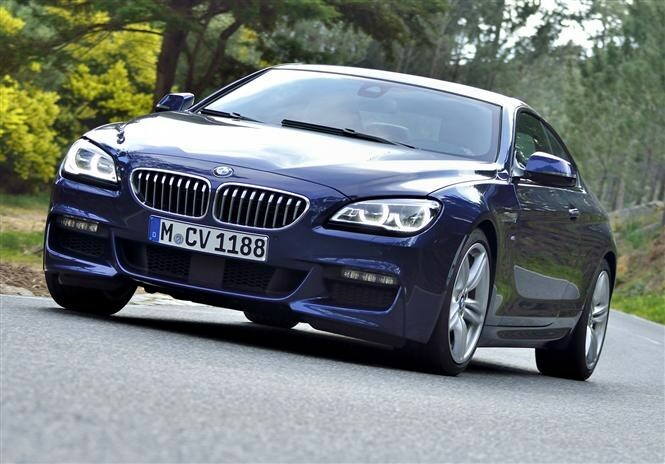 It suits the 6 Series well, feeling powerful and versatile so acceleration feels effortless. 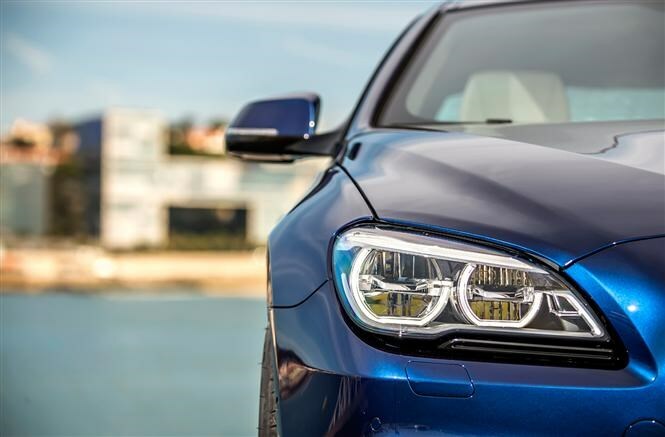 Its main problem is the 640d version of this car, which boasts far superior fuel economy and CO2 emissions but without sacrificing much performance. You can’t buy a 6 Series that does 0-62mph in over 5.5 seconds, in fact. Back to the 650i, then. 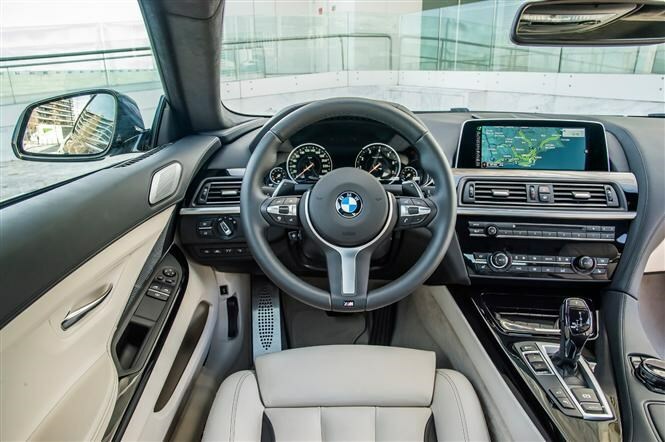 If you really hit the throttle hard you’ll be able to cover that 0-62mph dash in just 4.6 seconds, while the top speed – as with the entire 6 Series line-up – is pegged at 155mph. Those figures are thanks to the 444bhp and massive 650Nm of torque on offer. And while it’s building speed, you’ll be treated to the deep off-beat thrum so characteristic of a V8 powerplant. The sports-tuned exhaust (standard on all petrol 6 Series cars) features switchable flaps which can open when Sport or Sport+ modes are selected, and this really unleashes the animal within. You get a full-bore aggressive roar, and if you completely lift off from full throttle a booming cough which can’t fail to amuse the small child in any of us. It’s all very theatrical. It doesn’t have to be all shouty, though. 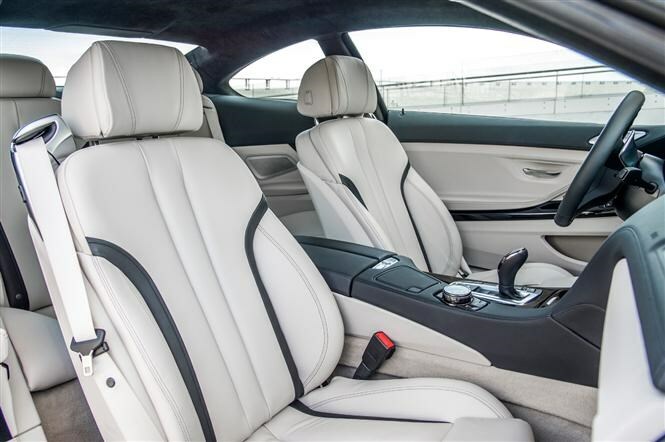 The 6 Series Coupe is also capable of being very comfortable indeed. It’s no sports car – it’s more the consummate two-door mile-muncher. Chuck it around in a manner that would flatter a Porsche 911 and you’ll find it predictable but not exactly exciting, even in Sport+ mode with the traction control dialled back a touch. It’s a heavy car, and despite its front-engine, rear-wheel drive nature, it isn’t going to keep up with the best in the class. For that, you’ll want to investigate the M6 instead. 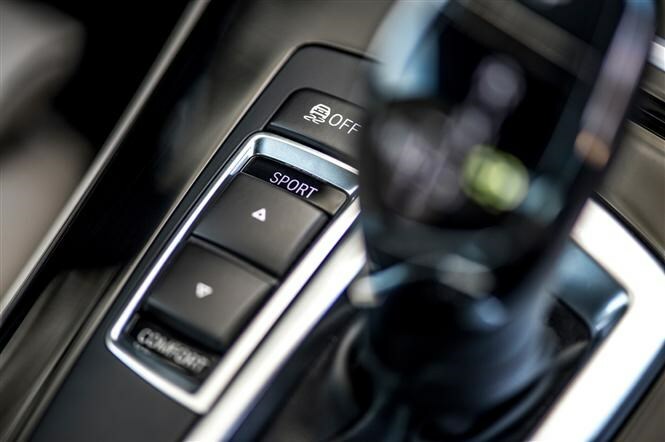 Flicking the Driving Experience Control switch to Comfort+ seems a better move to us. This dulls down the sportiness and amplifies the padding, meaning throttle response, gear-change ferocity and even the adaptive damper settings are dialled back for a more refined drive. It makes the exhaust quieter too, so early morning start-ups aren’t going to rouse the entire neighbourhood. One thing we were very impressed with was the steering. Its weighting is judged brilliantly and it’s a very accurate system, if lacking the intricate final edge of feedback older BMWs could manage. Our car featured optional roll-mitigation (keep the car stable at speed) and rear-wheel steering (helps the car turn more sharply) systems too, which further help in the handling stakes. It’s just a shame they can’t mask the 6 Series’s sheer bulk. We found the revised 6 Series a likeable enough car, but it’s got some serious competition in this market. With that in mind, it’s difficult to see where the 650i comes into the picture. 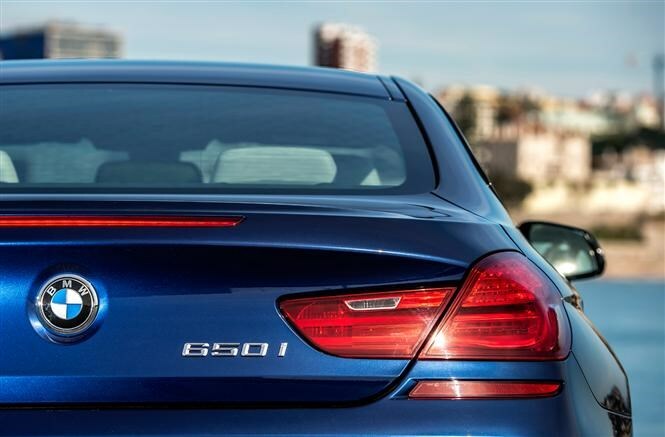 For lower running costs, the 640d is the one. 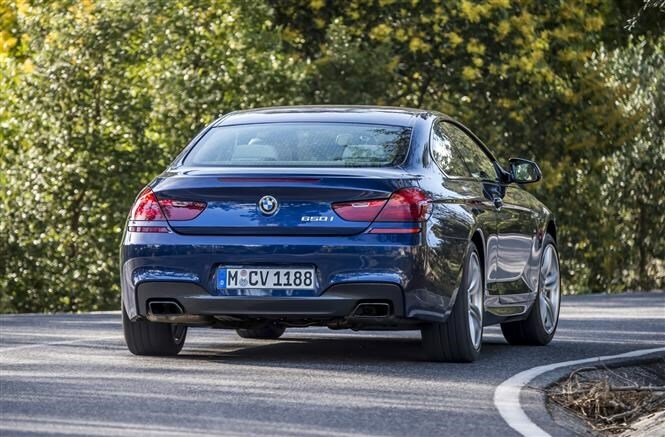 For more excitement, the M6 is where it’s at if you’re wedded to BMW. If not, you’ve got rich pickings from Jaguar, Porsche and Mercedes-Benz to think about. That makes this car a particularly difficult sell, but that’s not to say it’s a bad buy. As a car to cover big miles in, it works very well indeed.